Yo, ho, ho it’s a mediocre sequel of a pirates film for me. 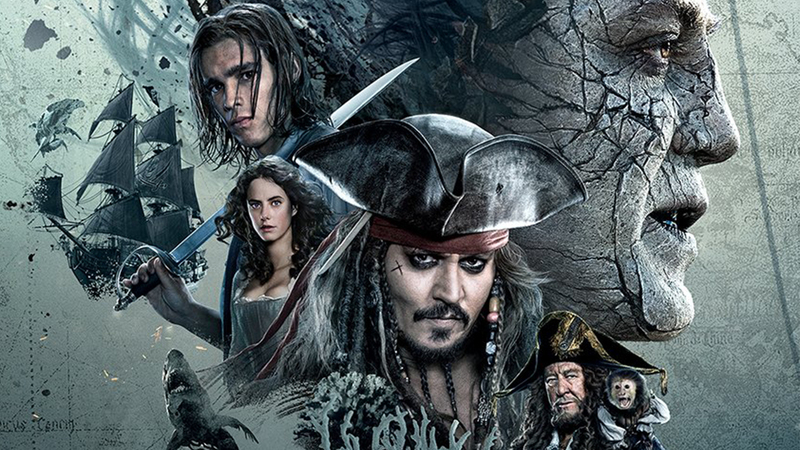 Blimey, who ever thought we’d get to 5 Pirates of the Caribbean films? It’s been a rocky road for the franchise, with the original still up there with the best blockbusters of the century, and its sequels suffering from the law of diminishing returns in terms of quality, if not bankability. While you can argue that the series is feeling its age, you can also make a strong case that Johnny Depp has developed one of the most iconic characters in modern cinema history in Captain Jack Sparrow. It’s obvious that this is a role he relishes, and it’s hard not to be swept up by his enthusiasm. Purely through improvement by repetition, I would argue that this is Depp’s best outing as the lovable rogue. While on the subject of the cast, we’re also treated to Javier Bardem’s sinister Captain Salazar as the main foil to Jack Sparrow. Although not on the level of his turn as the psychopathic Anton Chigurgh in No Country For Old Men (a performance which belongs on the Mount Rushmore of creepy villains), still manages to match the charisma of the protagonist. A special mention must also be made for the casting of Brenton Thwaites as Will Turner’s son Henry, who looks eerily like a young Orlando Bloom - top-notch casting right there. Aside from the characters, the action set pieces are just as impressive as ever. Indeed the opening scene alone is worth the price of admission, balancing stunning special effects with great character work as Henry Turner throws himself into the ocean to reunite with his father, now at the helm of the Flying Dutchman. I guess it goes to show that if you pump enough money into a project, it’ll be visually spectacular if nothing else. With that being said, Pirates of the Caribbean: Salazar’s Revenge is far from the perfect movie, and a lot of the criticism pointed at it is well justified. Although enjoyable, this entry really doesn’t take any risks and doesn’t offer anything new for longtime fans of the series, and if you’re new to the world of pirates then there are far better films earlier in the chronology. There’s only so many ‘yarghs’ and ‘ahoys’ you can get away with before you start repeating yourself. What’s more, while I found Johnny Depp’s Captain Jack entertaining, I can understand why some weren’t so keen on him this time around. He does ham it up more than ever before, almost crossing the precipice from charming to gratingly annoying as becomes more of a drunken buffoon than a witty rogue. Ultimately, if you don’t like Jack, you won’t like this film. I was as cynical as anyone going into watching Pirates of the Caribbean: Salazar’s Revenge, but I’m happy to report that I was thoroughly entertained; who would’ve thought you could tell such compelling stories about a theme park ride for so long? For those that take umbrage with the film, I challenge you to not watch it as a stand-alone movie, but to treat the film series as if it were a tv show with self-contained stories. Sure, not all of them will knock it out of the park, but it’s something to enjoy where you’re familiar with the characters, don’t have to pay that much attention and can just switch off and enjoy it for what it is. I think there’s unappreciated merit in that.